Premiership Rugby is delighted to announce the appointment of Ian Ritchie as independent, non-executive Chairman. Ritchie is highly experienced in professional sport, not only through his five-year tenure at the RFU but also previous roles in tennis and as a non-executive director at the Football League and Wembley Stadium. In addition, he has had substantial commercial and media-related experience throughout his career. He was elected unanimously by the Premiership Rugby Board of Directors for a two-year term which will start next month. Semore Kurdi, current Chairman and the owner of Newcastle Falcons said, “I’m delighted that Ian has agreed to become Chairman. 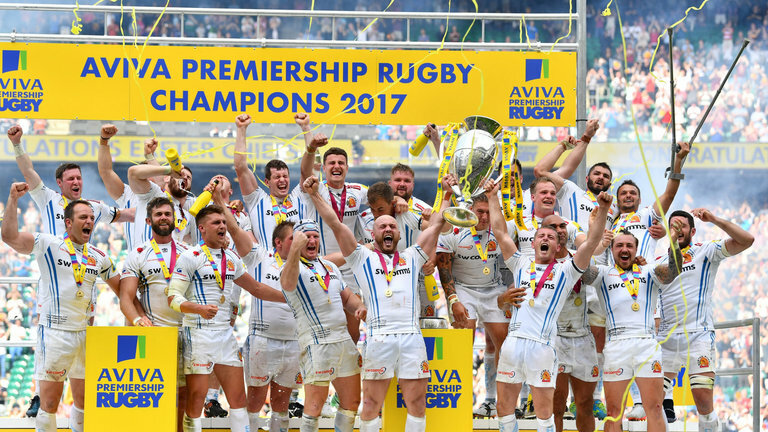 We are in a period of significant domestic and international growth for the club game, with this weekend’s big Aviva Premiership Rugby matches just one example, as they will be seen in some 200 countries around the world. Ian Ritchie said: “Premiership Rugby has become one of the foremost competitions in professional sport and I’m pleased to be taking the Chair at this time. Clearly, the partnership with the RFU is central to the success of both club and country and I look forward to helping ensure its success.